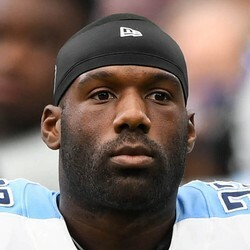 David Fluellen (knee) avoided serious injury but won't play in Week 11, Jim Wyatt of the Titans' official site reports. It looked like Fluellen may have a chance to pass Derrick Henry on the depth chart but ended up leaving the game in Week 10 with a knee injury. It looked to be serious at the time but was not an ACL injury thankfully. Consider Fluellen questionable for Week 11 and fantasy owners should keep an eye on updates.